Matthew Turner doesn't have faith in anything. Not in family - his is a shambles after his younger brother was bullied into suicide. Not in so-called friends who turn their backs when things get tough. Not in some all-powerful creator who lets too much bad stuff happen. And certainly not in some "It Gets Better" psychobabble. No matter what his girlfriend Hayden says about faith and forgiveness, there's no way Matt's letting go of blame. Five teenagers from different parts of the country. Three girls. Two guys. Four straight. One gay. Some rich. Some poor. Some from great families. Some with no one at all. All living their lives as best they can, but all searching . . . for freedom, safety, community, family, love. What they don't expect, though, is all that can happen when those powerful little words "I love you" are said for all the wrong reasons. Kaeleigh and Raeanne are 16-year-old identical twins, the daughters of a district court judge father and politician mother running for U.S. Congress. Everything on the surface seems fine, but underneath run very deep and damaging secrets. When the girls were nine, Daddy turned to his beloved Kaeleigh in ways a father never should. Raeanne needs to numb the pain of not being Daddy's favorite; Kaeleigh wants to do everything she can to feel something normal, even if it means cutting herself and vomiting after every binge. The handsome son of wealthy parents, Connor has everything anyone could want...except his family's love and affection. Jailed for years after killing his mother's child-molesting boyfriend, Tony is confused about his sexuality. Manic-depressive Vanessa cuts herself. All three stories intertwine in a brutally honest story about pain and resilience. For as long as she can remember, it's been just Ariel and Dad. Ariel's mom disappeared when she was a baby. Dad says home is wherever the two of them are, but Ariel is now 17, and after years of new apartments, new schools, and new faces, all she wants is to put down some roots. Complicating things are Monica and Gabe, both of whom have stirred a different kind of desire. I love Ellen Hopkins. Love her writing. Raised in a stern, abusive Mormon household, a teenage girl starts to question her religion and struggles to find her destiny. Her father is abusive, her mother is submissive, and her church looks the other way. Confused and angry, Pattyn Von Stratten acts out and is sent to live with an aunt on a Nevada ranch. She finds the love and acceptance she craves, with disturbing consequences. Kristina Georgia Snow is the perfect daughter: gifted high school junior, quiet, never any trouble. But on a trip to visit her absentee father, she meets a boy who introduces her to crank. At first she finds it freeing, but soon Kristina's personality disappears inside the drug. What began as a wild, ecstatic ride turns into a struggle through hell for her mind, her soul, and her life. Collateral centers on Ashley, an MFA student at San Diego State University. She grew up reading books and never dreamed she would become a military wife. One night she meets a handsome soldier named Cole. He doesn’t match the stereotype of the aggressive military man. He’s passionate and romantic. He even writes poetry. Their relationship evolves into a sexually charged love affair that goes on for five years and survives four deployments. Inspired by classic fairy tales, but with a dark and sinister twist, Grim contains short stories from some of the best voices in young adult literature today: Ellen Hopkins, Amanda Hocking, Julie Kagawa, Claudia Gray, Rachel Hawkins, Kimberly Derting, Myra McEntire, Malinda Lo, Sarah Rees-Brennan, Jackson Pearce, Christine Johnson, Jeri Smith Ready, Shaun David Hutchinson, Saundra Mitchell, Sonia Gensler, Tessa Gratton, Jon Skrovron. Charlotte Davis is in pieces. At 17 she's already lost more than most people do in a lifetime. But she's learned how to forget. The broken glass washes away the sorrow until there is nothing but calm. You don't have to think about your father and the river. Your best friend, who is gone forever. Or your mother, who has nothing left to give you. Every new scar hardens Charlie's heart just a little more, yet it still hurts so much. It hurts enough to not care anymore, which is sometimes what has to happen before you can find your way back from the edge. Eden was always good at being good. Starting high school didn't change who she was. But the night her brother's best friend rapes her, Eden's world capsizes. What was once simple is now complex. What Eden once loved - who she once loved - she now hates. What she thought she knew to be true is now lies. Nothing makes sense anymore, and she knows she's supposed to tell someone what happened, but she can't. So she buries it instead. And she buries the way she used to be. Life at 15 isn't easy for a girl if she's shy and hates the way she looks. Each day is heaven or hell, depending on who talks to her, or who doesn't. So when she's finally accepted by a group, she doesn't refuse their party games, even if it means taking LSD. Soon she's taking little pills to wake up and others to go to sleep, and the days begin to blur. Based on a 15-year-old's diary, Go Ask Alice is the intimate account of one girl's fatal journey into the world of drug addiction. Echo Ridge is small-town America. Ellery's never been there, but she's heard all about it. Her aunt went missing there at age 17. And only five years ago, a homecoming queen put the town on the map when she was killed. Now, Ellery has to move there to live with a grandmother she barely knows. The town is picture-perfect, but it's hiding secrets. 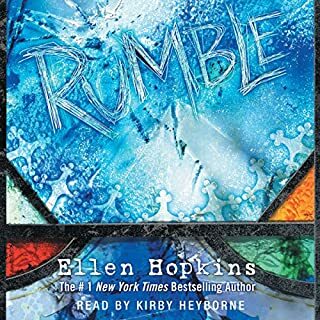 And before school even begins for Ellery, someone has declared open season on homecoming, promising to make it as dangerous as it was five years ago. Then, almost as if to prove it, another girl goes missing. There may only be one killer, but no one is innocent in this new young adult thriller from Natasha Preston, author of The Cellar, a New York Times best-seller, and Awake. Enter the dark, magical world of the House of Night, a world very much like our own, except here vampyres have always existed. One minute, 16-year-old Zoey Redbird is a normal teenager dealing with everyday high school stress; the next, she's Marked as a fledgling vampyre, forcing her to leave her ordinary life behind and join the House of Night, a boarding school where she will train to become an adult vampyre. 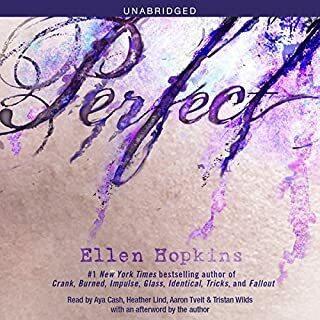 Love - good and bad - forces three teens' worlds to tilt in a riveting standalone novel from #1 New York Timesbest-selling author Ellen Hopkins. Three teens, three stories - all interconnected through their parents' family relationships. As the adults pull away, caught up in their own dilemmas, the worlds of the teens begin to tilt. Mikayla, almost 18, is over-the-top in love with Dylan, who loves her back jealously. But what happens to that love when Mikayla gets pregnant the summer before their senior year and decides to keep the baby? Shane turns 16 that same summer and falls hard in love with his first boyfriend, Alex, who happens to be HIV positive. Shane has lived for four years with his little sister's impending death. Can he accept Alex's love, knowing his life, too, will be shortened? Harley is 14 - a good girl searching for new experiences, especially love from an older boy. She never expects to hurdle toward self-destructive extremes in order to define who she is and who she wants to be. 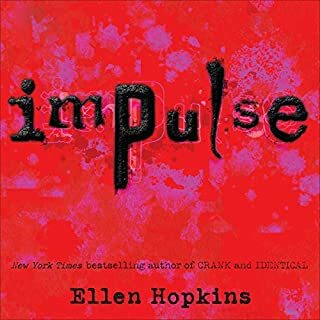 Love, in all its forms, has crucial consequences in this wrenching story from Ellen Hopkins. the storyline may have been okay, but it is all for nothing! you have no idea what happens with anybody! unless you want to be completely outraged at the ending, do not read it! Yet another amazing story from Ellen Hopkins. This is definitely a must read if you're a Hopkins fan. Excellent work, as expected from this author. 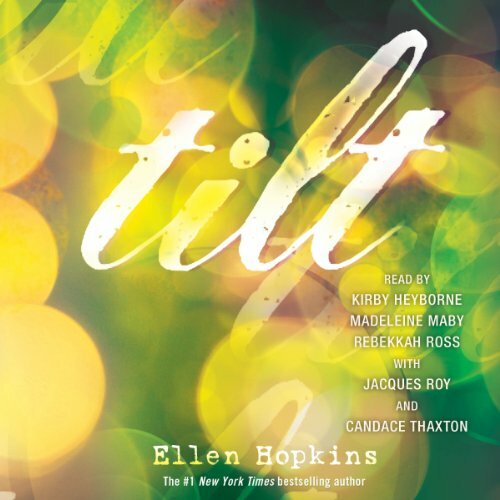 Where does Tilt rank among all the audiobooks you’ve listened to so far? 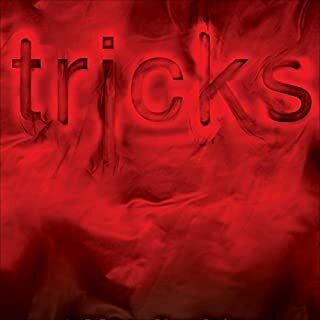 This was actually my first audiobook, I enjoyed it! It's a very different experience vs actually reading the book...it's a little hard to keep up with each different character in the beginning. I always love how deep into the character and their thoughts/story she goes into in such little words. She really paints the picture of what each character is experiencing, I think the way she depicts each struggle they are facing is very well thought out and current to what young adults experience today. Everything! They portrayed the characters emotions very well. 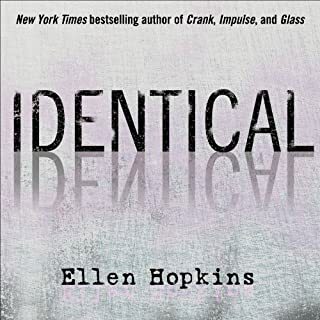 another great book by Ellen Hopkins! This is probably the 8th or 9th book of hers that I have read, and she has yet to let me down! I loved this book. I'm happy to hear the other side of Triangles from the kids point of view. There needs to be another! Kids point of view instead of the mothers. So well written and heart felt. This was truly a good listen. I recommend this for every!